Newfoundland and Labrador continues to have the highest cancer incidence rates per capita in the country — and that number is expected to increase in the next decade. According to a national report released by the Canadian Cancer Society Wednesday, the number of new cancer cases is expected to rise about 40 per cent in the next 15 years — in part because of the country's aging population. This is the first time the annual report has presented long-term cancer predictions. 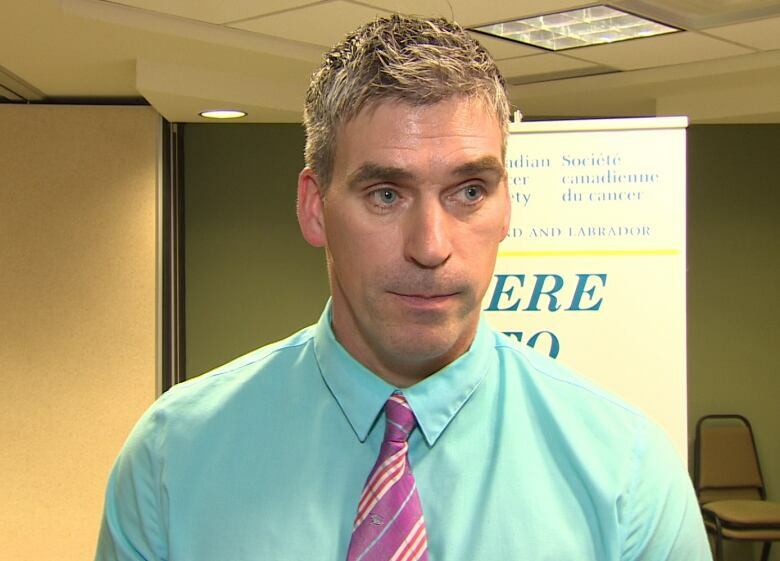 Newfoundland and Labrador is expected to have 3,500 new cancer cases in 2015. That's expected to jump to 4,040 cases between 2028 and 2032. One in four Canadians will be 65 or older by 2030, and the Canadian Cancer Society estimates that the country won't be able to provide adequate care for future patients. Newfoundland and Labrador has the highest cancer rates per capita in the country, with 435.8 incidents for every 100,000 people. The province has the highest colorectal cancer incidence rates and colorectal cancer mortality rates in the country — for men and women. The province will see 1,500 cancer-related deaths this year. 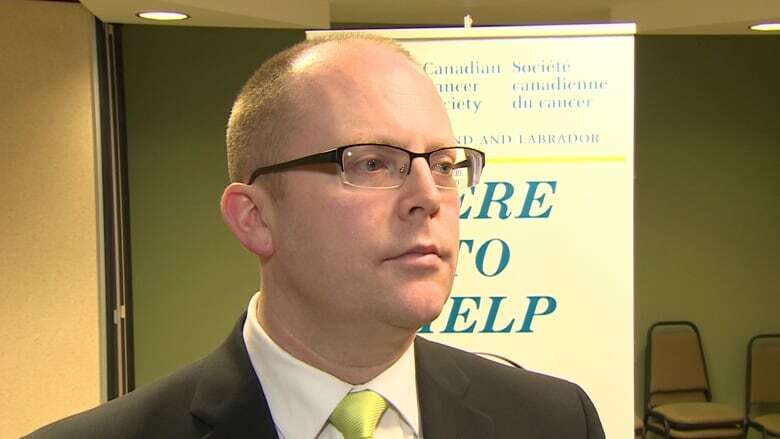 Matthew Piercey, chief executive officer of the Newfoundland and Labrador division of the Canadian Cancer Society, says the health-care system is going to be significantly affected by the increase in cases, and the province needs to be prepared. Matthew Piercey says healthy living and early detection are key factors to combating the growing cancer problem in the province. (CBC)"I think we need to be ready, we need to get a message out there of the importance of healthy living and early detection so we can combat these numbers before we get to that critical stage," Piercey said. "And we need to be prepared for those people that are going to be diagnosed and need that assistance, need that help through their cancer journey — not only treatment, but prior and after their treatment as well,"
Health Minister Steve Kent said despite the province's progress in terms of prevention, early detection and improvements to cancer treatment and screen programs, there's still much work to be done. "Smoking rates are still too high, we're heavy drinkers in Newfoundland and Labrador, we're not active enough — all of that is proven and we see it in one study after another, over and over again," Kent said. He said, as it stands, the province's health system isn't sustainable. "We've got a population that's aging faster than the rest of the country, we also have a population that's sicker, that's less healthy than the rest of the country. These are alarming trends and we can't spend any more than 40 cents on every dollar on the health system so it means we've got to do things to achieve better care and better value for money and better patient outcomes," he said. Kent said his department has mapped out a 5 year plan to make the healthcare system more sustainable. With files from Vik Adhopia and Taylor Simmons.